Enjoy The Products & Become A Promoter Today! I recently joined forces with may Dad in marketing LIMU. Be sure to review the site for the health products and a business opportunity as well. This PDF document goes over a chord exercise done for "He Has Done Marvelous Things, Praise The Lord". This is a song used as a choir warm-up from time to time. SmoothChords Class List - Beginners - Start Here! Every Musician Must Watch This Video! 4 Chords To Musical Success! How To Avoid A "Cancelled Order" During Checkout Process. How To Avoid A "Cancelled Order"
Why Should I Join SmoothChords? 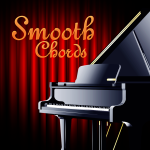 SmoothChords App - Download It Today! Download the SmoothChords App Today! The prices on the SmoothChords website are the same as on the StarlingSounds Store website. Shop with confidence and be blessed my the musical projects. Ensure Your Address Is Correct During Checkout!